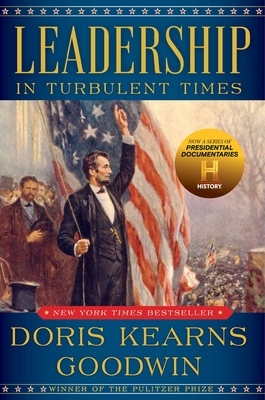 Leadership: In Turbulent Times (Hardcover) | Eagle Harbor Book Co.
Few historians are as well-positioned to elucidate the timeless qualities of our greatest presidents than Goodwin, and she does so here with aplomb. In an era when politics is reduced to tribal posturing and a disturbing willingness to cut off the nose to spite the face, this book is a much-needed reminder of how great leaders transcend party dictates and populist whims. An erudite, engrossing portrait of leaders able to meld ambition and moral purpose to better the lives of those they serve.